We offer Samsung's new line of premium ultrasound systems for every application—from portable laptop designs to high-resolution specialty consoles. HS40 offers extraordinary imaging never before seen in an ultrasound system at this price. Samsung's advanced imaging technologies help reduce signal noise and artifact, providing crisp, detailed images. 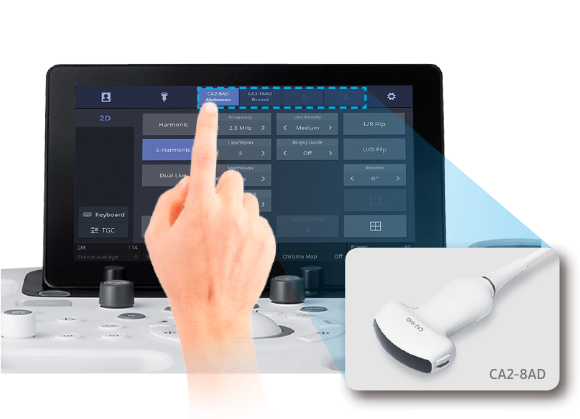 Workflow enhancing tools aid in efficiently moving through the ultrasound exam so you can keep your focus where it needs to be – on your patient. By compounding many scan lines for better imaging, MultiVision provides remarkable spatial and contrast resolution with even greater artifact suppression than ever before. EZ-Exam+™ enables users to build or to use predefined protocols, transforming the ultrasound investigation into a streamlined process. Want more information on the new Samsung veterinary ultrasound systems?